The Balm In Gilead, Inc. is a not-for-profit, non-governmental organization (NGO) whose mission is to prevent diseases and to improve the health status of individuals who are disproportionately affected by high rates of health disparities. Dr. Pernessa Seele, is the Founder and CEO. Her organization works to combat health disparities in the African-American community. One of those disparities is around dementia and Alzheimer’s which impacts African-Americans and Hispanics disproportionately. Other health conditions like high blood pressure and socioeconomic factors contribute to the challenges of addressing Alzheimer’s in the African-American community. African-Americans and minorities are also more likely to be diagnosed with Alzheimer’s in the later stages of the disease or to be misdiagnosed to due other illnesses, a lack of awareness, and a lack of access to appropriate medical care. Alzheimer’s is the most common type of dementia, affecting an estimated 5 million people in the United States. Alzheimer’s disease is irreversible and slowly gets worse as the disease destroys the brain’s memory and thinking skills. There is no cure for this debilitating disease. There is no cure for Alzheimer’s disease, the goal of treatment is to maintain and delay the decline in memory and cognitive functions. Support for families and caregivers play a major role in the treatment and management of Alzheimer’s. Healthcare providers should be mindful to include the caregivers in the treatment plan and to work with them to develop a plan of care that will meet the needs of the persons diagnosed as well as the needs of the caregiver that may arise as the disease progresses. Referrals to support groups and other social services are good to consider. Each year, the Balm In Gilead hosts Healthy Churches 2020, a national training conference now in its 5th year where more than 500 health ministry leaders gather to get important information to better serve their congregations. This year, it will be held November 13-16, 2018 in Point Clear, Alabama. Dr. Pernessa Seele is Founder and CEO of The Balm In Gilead, Inc., a not-for- profit organization, celebrating 30 years of providing technical support that strengthens the capacity to faith institutions in the USA and in Africa to promote health education and services that contribute to the elimination of health disparities. As a pioneer in developing public health & faith-based models for engaging individuals in health promotion and disease prevention interventions, Time Magazine 100 named her One of the Most Influential Persons in the World in 2006, among other honors. Dr. Seele answers your Text Tom questions on the next page. Alzheimer’s has a specific cause in the brain, but dementia is a generic term that means you have thinking and memory problems. You can have dementia from Alzheimer’s, or you can get dementia from depression or alcoholism or normal pressure hydrocephalus or other rare causes like Lewy bodies or Parkinson’s disease. IF EARLY DETECTION IS A KEY FACTOR, ARE THERE CERTAIN TESTS WE NEED TO TAKE OR ASK OUR DOCTOR ABOUT TO SEE IF WE HAVE THE DISEASE? IF SO, WILL HEALTH INSURANCE COVER THE COST? Even though there is no cure for Alzheimer’s or many dementias, early detection really is key in order to do all we can. 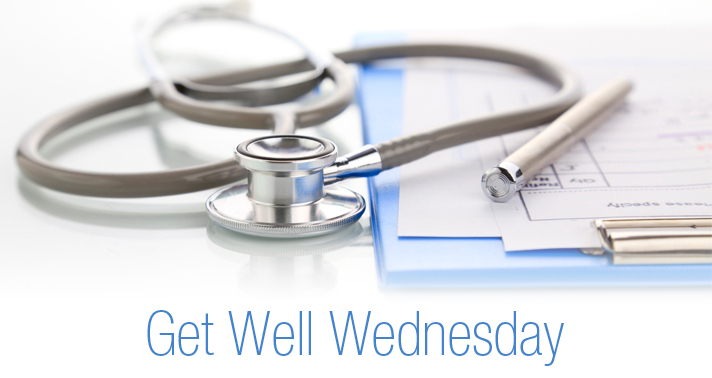 Your regular doctor should provide a wellness check as part of your annual visit once you’re 70, so make sure they do that! This is covered by insurance. If you need more testing, you should get a referral to see a neurologist and/or a neuropsychologist. With a referral, this should be mostly covered by insurance, but the testing can take up a whole morning so it’s good to plan ahead. ARE THEY CLOSE TO FINDING A CURE FOR ALZHEIMER’S? Yes! Many drugs in the clinical trials phase (where they are currently testing the cures of tomorrow) are looking very promising in terms of helping memory and stopping the brain changes that occur in Alzheimer’s disease. We are not yet able to reverse the bad symptoms of Alzheimer’s, but we are likely less than 3 years away from significantly being able to slow down the disease. Yes and no. If your immediate family member has it (parents, siblings, children), it increases your risk by 50%. But outside of a few rare cases, no one is “doomed” to get Alzheimer’s. The biggest risk factor for Alzheimer’s disease is age. And Black Americans are at least twice as likely to develop Alzheimer’s as white populations. WHAT ARE THE SIGNS/SYMPTOMS OF ALZHEIMER’S? Change is key when it comes to noticing Alzheimer’s disease. If you’ve always been bad with names and you still are at 80, that doesn’t mean you have Alzheimer’s or dementia. But if someone has major memory problems that they didn’t 1 or two years ago, if they were an accountant but suddenly can’t balance a checkbook, or if they were in construction but can’t hang a towel rack, these are key concerns. Some of the major signs are: memory loss that disrupts daily life, challenges in problem solving, sudden and persistent personality changes, confusion with time or place, withdrawal from daily life (work or social activities). IF DIAGNOSED EARLY, CAN THIS BE PREVENTED OR DELAYED? No, unless someone gets involved in one of the clinical trials that may prevent Alzheimer’s. But it can help your family with insurance and care planning, which are major issues. Black American families bear 40% of the nation’s Alzheimer’s cost, which can be reduced with careful planning ahead of time. Alzheimer’s is thought to be caused by two proteins that go wrong, amyloid and tau. You have them both your whole life, and they’re important for normal brain function but they go wrong in Alzheimer’s. Think of amyloid (amma-lloyd) like Saran Wrap – if you cut it the right way it’s useful, but if it’s cut the wrong way or twisted it is just a big mess. Tau (towww) is like having water damage to a wall in your home – it weakens the structures so that they collapse. These two proteins work together in the brain to kill off brain cells. ALZHEIMER’S HAS BEEN CALLED THE LONG, SAD GOODBYE. EXPLAIN WHAT THAT MEANS. Alzheimer’s is what’s called a progressive disease. The symptoms start out small and hard to see, and then over 8 – 12 years, they get much worse. When people get Alzheimer’s they lose their memories and their self-identity. What’s often left is a shell of the loved one that we knew. There are three main stages in Alzheimer’s disease: Preclinical, which is when amyloid and tau start to build up but there aren’t memory problems. Then there is mild Alzheimer’s, when there are enough cognitive problems to interfere with daily life, but the person can still walk around and get through the day with support. Finally, there is severe Alzheimer’s disease, when there is no attempt to get through a normal day, the individual doesn’t leave the house much, and needs help eating, sleeping, and going to the bathroom. ARE THERE ANY SOURCES OF FINANCIAL HELP FOR PEOPLE WITH ALZHEIMER’S OR THEIR CAREGIVERS? The Alzheimer’s Association offers a huge range of support for people who are dealing with Alzheimer’s in their family. All of their resources are free and include support groups for patients and caregivers, a referral service, a 24/7 phone line, community programming, and information for local businesses. There is also a new Medicare billing code for care planning that many doctors don’t know about (99483) that will allow them to help families plan and coordinate care and bill these conversations and efforts through insurance. Are PTSD and dementia similar? They are both disorders of the brain, and while having symptoms of PTSD can mean that you are disoriented or confused, it is generally not considered to be a kind of dementia. Can the stress that African-Americans go through on a regular basis cause dementia or could that be one of the reason why we are more affected? Yes! Lifetime discrimination is one of the leading theories of why Black Americans are more likely to have Alzheimer’s disease. At what age should you be checked for dementia? You should start to be checked for dementia beginning in your mid to late 60s. Ask your doctor for a wellness check. If you or someone you know starts to have memory or thinking problems that come on suddenly or over 1-2 years, even before your 60s, have them seen by a doctor. My mom has symptoms -she’s extremely paranoid and when she has an UTI that makes the symptoms WORSE but my dad is in denial about it. What can I do to get my mom some help? Reach out and get some support from your family, and from your local chapter of the Alzheimer’s Association (www.alz.org). Try to have her see a doctor for a regular checkup and have the doc examine her thinking and memory. Dr. Doc, how to tell the early signs of dementia and/or Alzheimer’s in persons under 50? Dementia, including Alzheimer’s is very very rare in people under 50. You basically have to have a very rare genetic mutation. But the signs and symptoms are the same as for everyone else – they just tend to show up earlier and get worse much more quickly. Can dementia affect teens & children? Almost never. There has only been one documented case of a 17-year-old with Alzheimer’s disease, but they had an extremely rare genetic version of Alzheimer’s. How to be supportive of someone with dementia? It depends on what stage of dementia they have. It’s important for people living with dementia to feel safe and secure, so please continue to treat them with respect and dignity. Little white lies are fine, if it helps keep the peace. Try to set a clear daily routine, and make sure they eat and stay as physically active as is safe. Reach out to your local Alzheimer’s Association chapter. They offer a lot of free support! I am a 47-year-old black female. I have been having trouble with my memory to the point I would walk in a room and forgot why I went into the room. Should I be concerned and go and get tested for dementia? A: Nope! These kinds of things are common. If your memory gets much worse in a 1-2 year period (like you can’t remember how to get home when you’re just around the block), please see a doctor. Good morning, what is the earliest age that you can determine if you have the disease? With the help of a neurologist and a neuropsychologist, you can determine whether you have Alzheimer’s at any age but it’s easiest to detect starting in your 60s. I have 2 related questions: 1) I have had 4 concussions throughout my adolescence and adulthood. Could this lead to dementia later in life? 2) I also have constant tinnitus. I heard this was an early sign of dementia. Is there any valid evidence supporting this? Concussions don’t lead to Alzheimer’s. but may be a risk factor with dementia. Many concussions, even small concussions over time, like football players experience, may lead to a kind of dementia called CTE (chronic traumatic encephalopathy). We believe upwards of 99% of NFL players may be at risk of CTE by the end of their careers. CTE has different symptoms than Alzheimer’s, but they are both dementias. Since there is no cure or prevention for Dementia, what’s the benefit of meds that are indicated for it like Aricept and Namenda? Aricept and Namenda don’t treat the underlying disease. Just as cold medicines don’t cure your cold but they help you feel better, Aricept and Namenda don’t cure dementia but help you keep your thinking and memory sharp. Is one of the signs of dementia or Alzheimer’s crying? Sudden crying and changes in mood or behavior, especially if this kind of thing hasn’t happened before, could be a sign of dementia. You should see a doctor about this for more testing. Are psychotropic medications recommended to treat aggressive behaviors? They are, sometimes. They tend to be recommended more for people of color, which is a problem, as others receive less aggressive treatments. My grandmother recently died from dementia. Is it true that there’s an increased risk of stroke with dementia? Yes, especially if it’s a vascular dementia (different from Alzheimer’s) and an increased risk of dementia with stroke. Is there a correlation with anesthesia and dementia? After being under anesthesia for a recent colonoscopy, I have more difficulty remembering. There are occasionally some people who have this issue. Usually the memory problems go away after a few weeks. If they don’t, please see a doctor! Ask the doctor I have moderate obstruction sleep apnea I am 46 do I have a higher risk of Alzheimer’s or dementia? Yes, you may be at higher risk. It’s important to stay in touch with friends, family, and a doctor to make sure your health stays at its best. What type of tests do you need to take to determine if you have dementia and or Alzheimer’s disease? You need to have testing done by a neurologist and sometimes a neuropsychologist as well. They will test your memory, your ability to concentrate, how you see, how well your muscles and joints work, how you make decisions, and changes to your social life. They may also ask a close friend or loved one for their opinion too. Dr. Seele is the author of Stand Up to Stigma! How to Reject Fear & Shame. She is an honorary member of Alpha Kappa Alpha Sorority, Inc. She received a Bachelor of Science degree and Master of Science from Clark Atlanta University in 1976 & 1979 respectively, and a Doctorate of Human Letters from the College of New Rochelle, NY in 2007. She is a native of Lincolnville, SC. Back in the day, it was called being Senile. No matter what it is called, it is a disease that robs folks of their basic brain functions and memories. I hope that someday a cure can be found for Alzheimer’s.